Why Is Contemporary Art Addicted to Violence? 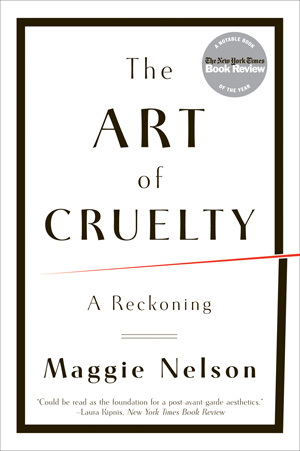 Writing in the tradition of Susan Sontag and Elaine Scarry, Maggie Nelson has emerged as one of our foremost cultural critics with this landmark work about representations of cruelty and violence in art. 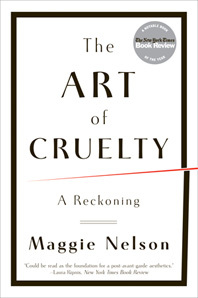 From Sylvia Plath’s poetry to Francis Bacon’s paintings, from the Saw franchise to Yoko Ono’s performance art, Nelson’s nuanced exploration across the artistic landscape ultimately offers a model of how one might balance strong ethical convictions with an equally strong appreciation for work that tests the limits of taste, taboo, and permissibility. Sales Territory: Worldwide, excluding Australia and New Zealand.